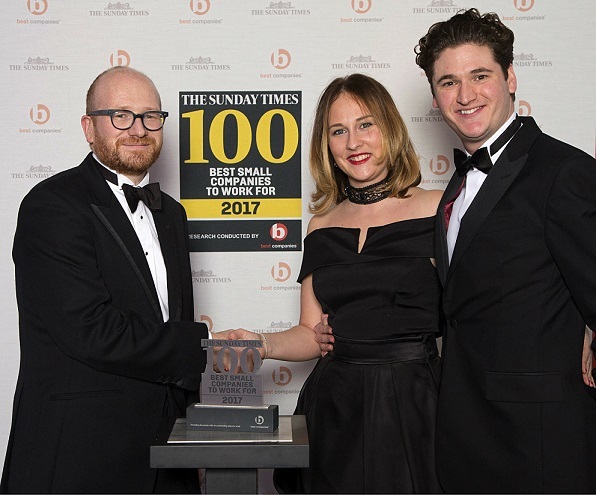 Portfolio Payroll Ltd have achieved 82nd in the prestigious Sunday Times 100 Best Small Companies to Work for. For the Second time, Portfolio have ranked in the top 100 and improved their overall Best Companies Accreditation standard, which follows the elite Michelin style star rating system, increasing from 2 stars to 3. The highest possible award given. In addition to the 3-star accreditation, Best Companies described Portfolio as an ‘extraordinary’ small company employer. Best Companies received entries from over 400 small companies across the UK to gain scores across their leadership, engagement, wellbeing and benefits.